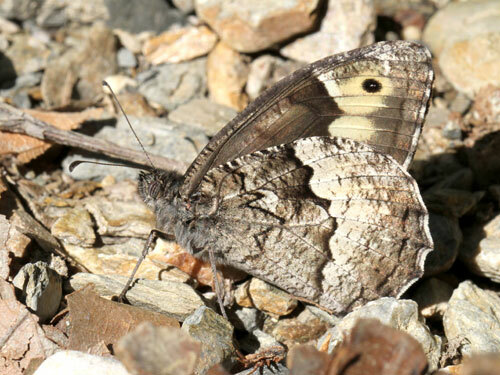 Distribution and identification extremely difficult due to similarity with the rock grayling H. alycone. 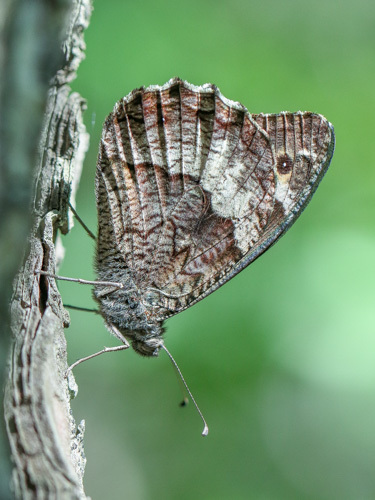 On Samos, these butterflies were flying in shady woodland, shunning the hot sunshine. 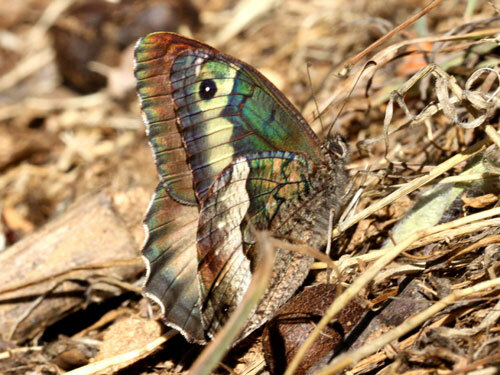 We found them on the greener northern slopes of the island and also amongst the tall pines on the southern slopes. 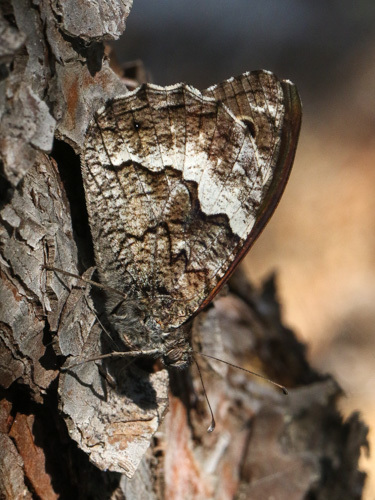 They frequently rested on tree trunks where their cryptic shades rendered them very hard to relocate. 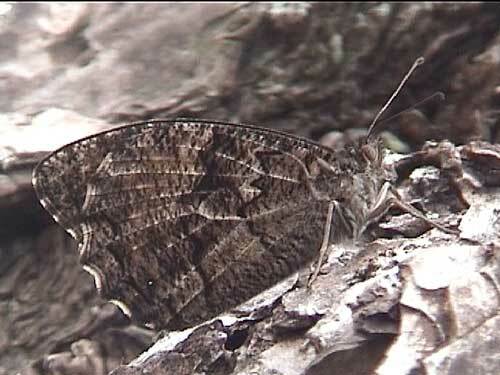 Identification & Similar species: This is one of a group of species difficult to identify owing to individual variability. 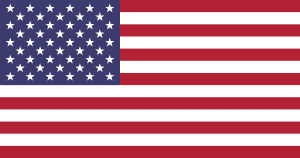 The following descriptions are not fully reliable. 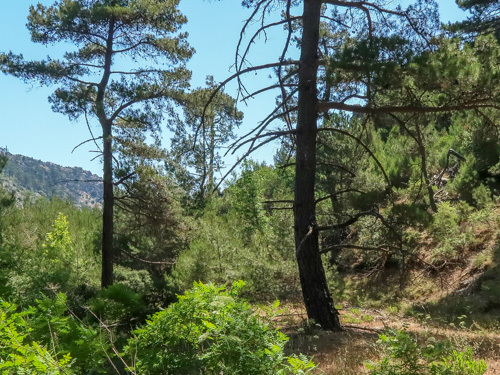 Reference to the julien organs surrounding the genetalia is reportedly definitive, but I've not had great success with this. 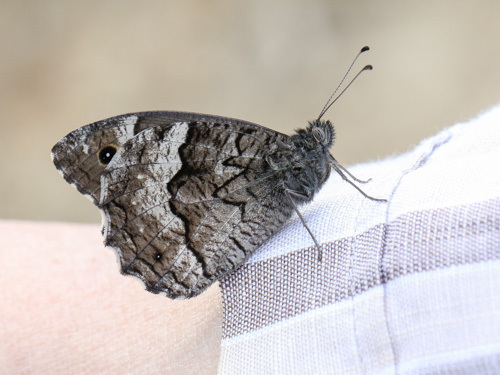 Woodland grayling, fagi: averagely larger. 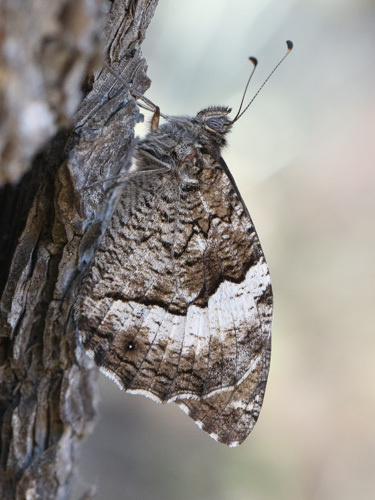 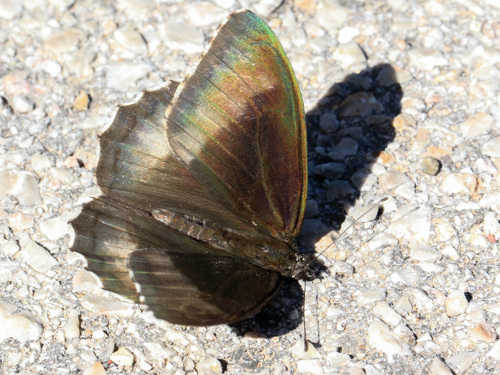 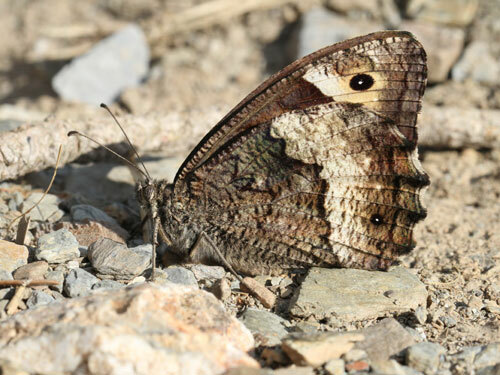 Underside forewing white band often without significant indent. 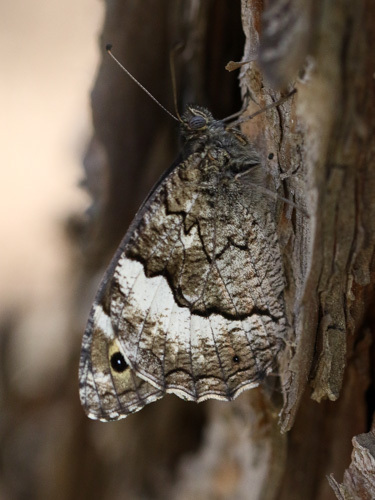 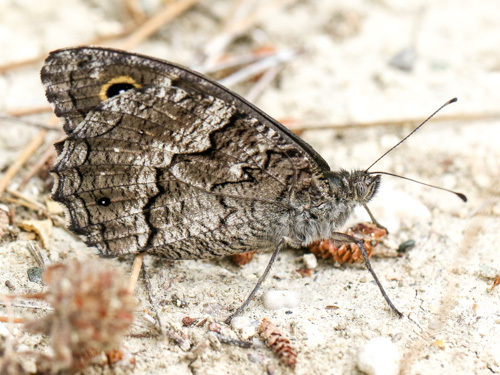 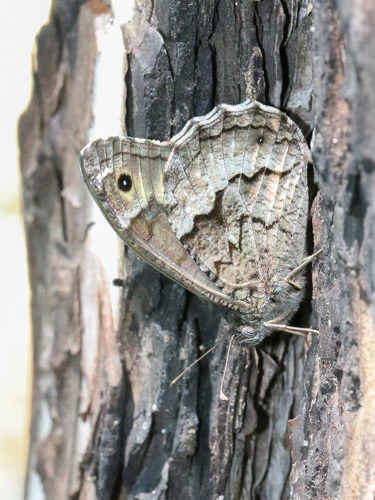 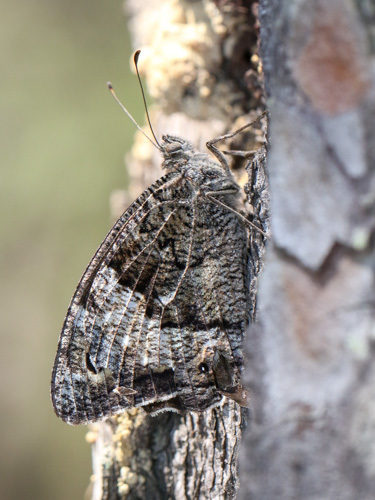 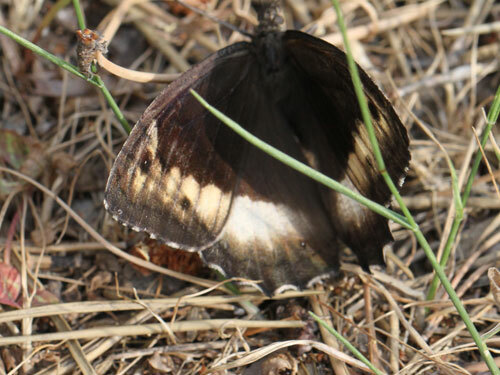 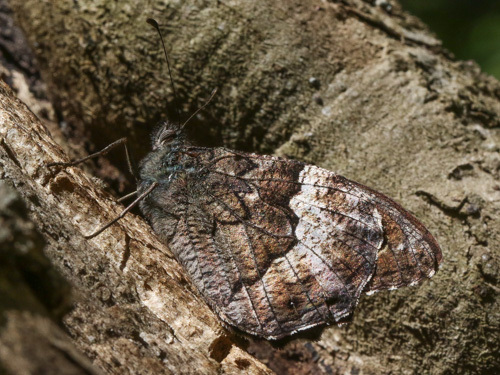 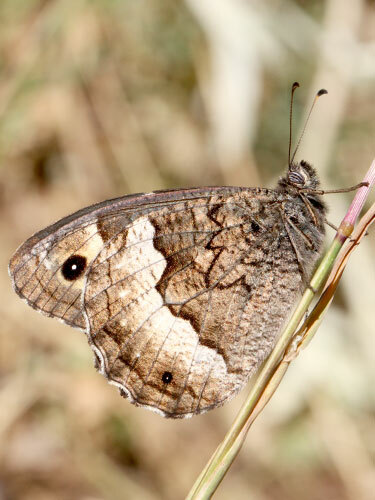 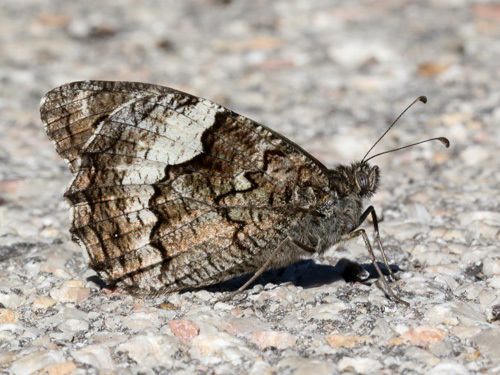 Eastern rock grayling, syriaca: almost as large as the woodland grayling, fagi, the underside hindwing is very similar. 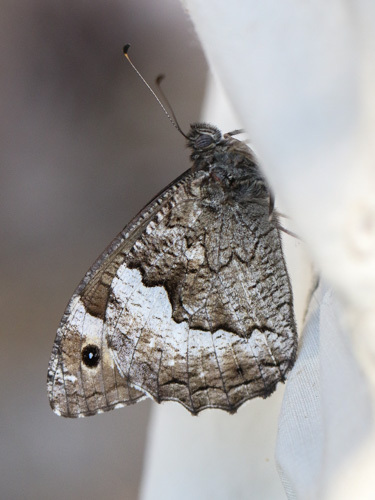 The underside forewing white band is averagely much narrower and with indents. 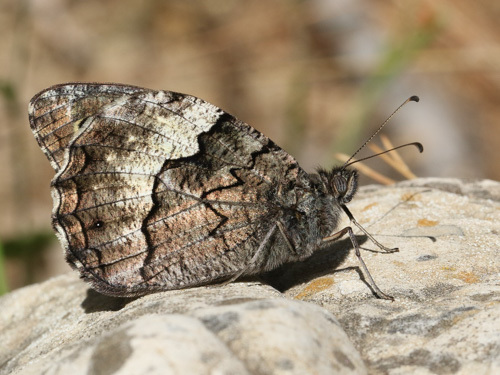 Distribution & Flight: Balkans and many of the Greek islands, flying June/ August. 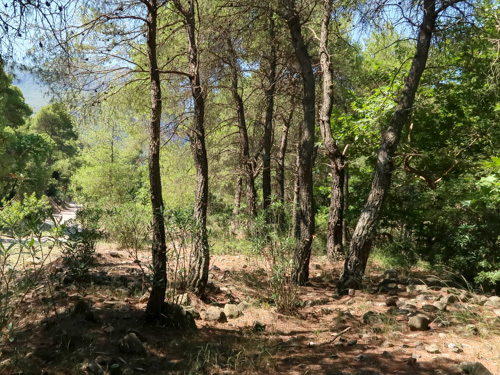 Habitat & Behaviour: Hot dry pine woodland or other forests with grasses. 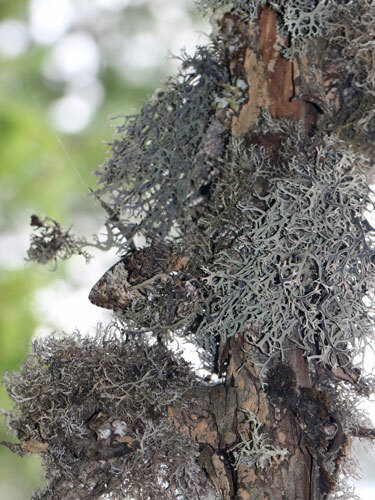 Typical resting places on these shady tree trunks. 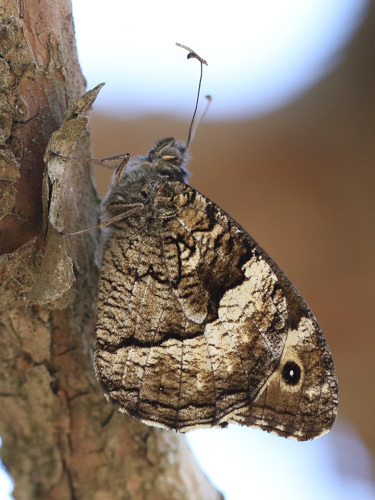 A magnificent ancient Grayling tree.